Mark Riddell, who took standardized tests or corrected answers for the children of wealthy parents, pleaded guilty to fraud charges and conspiracy to commit money laundering in a Boston federal court Friday. 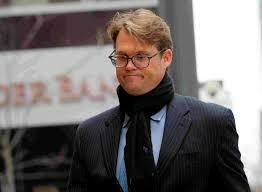 The Harvard graduate will forfeit $240,000 and be sentenced on July 18. Earlier in the week, 13 parents, including actress Felicity Huffman and a former coach, pleaded guilty to their involvement in a college-admissions bribery scandal. Lori Loughlin’s legal troubles have worsened considerably. The actress and her husband were indicted Tuesday on new charges. They must now decide whether to fight, or join other parents — including actress Felicity Huffman — and agree to plead guilty.